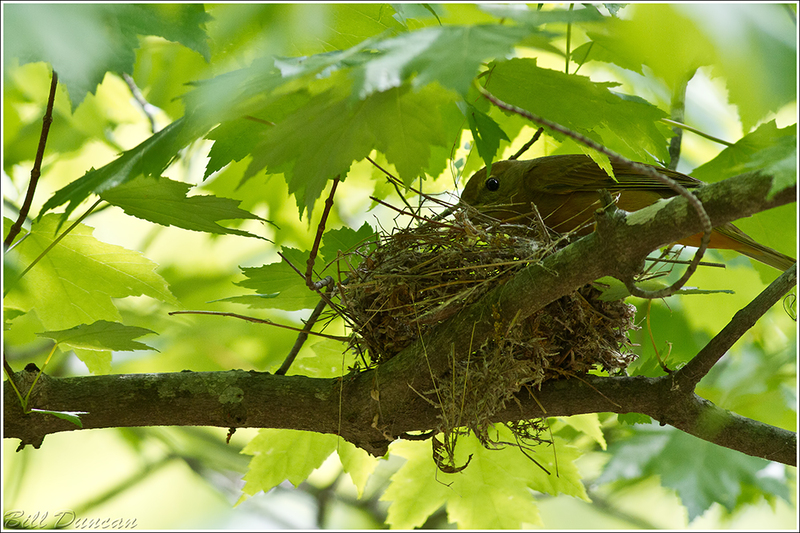 This image of a mamma Summer Tanager visiting her newly developing nest was taken a few weeks ago. She should now be busy raising young. I have decided not to invade her space unless I can get to this location and set up in a blind before first light. Unfortunately, this would be quite the feat at this time of year. The drive to Hawn SP, where the nest is located, is about 1.5 hours from my front door. I wish her luck and thanks to Steve who found the nest and provided a great map and directions for me.